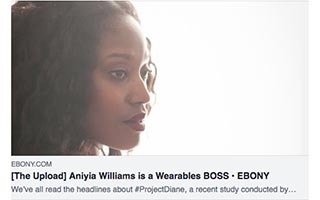 Aniyia Williams is a creator, inventor, and tech changemaker. 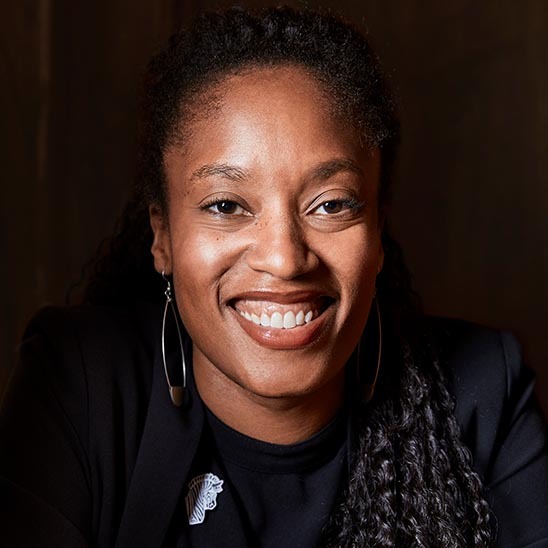 She serves as Executive Director of Black & Brown Founders, which provides vital resources to Black and Latinx entrepreneurs building tech companies with limited capital. 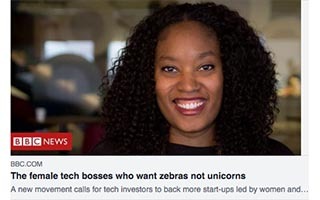 She is also co-founder of Zebras Unite, an entrepreneur-led movement focused on creating a more ethical and sustainable startup ecosystem. 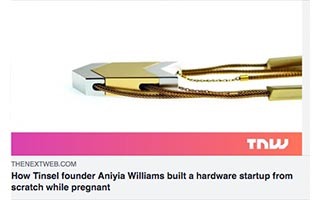 Aniyia previously founded and led the fashion tech company, Tinsel, which created the world’s first audio necklace—earphones that double as a beautiful piece of jewelry—designed in response to the lack of electronics developed with women in mind. Before becoming an entrepreneur, Aniyia has held roles in marketing, business development, and nonprofit fundraising. 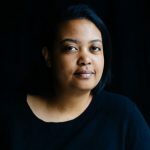 Aniyia has spent much of her life on stages with her background in the arts as a classically-trained opera singer and as an experienced speaker who regularly gives talks, hosts, moderates, and speaks on panels. 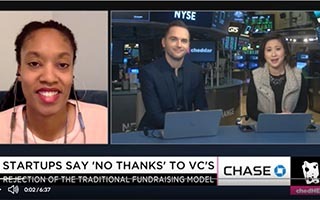 Aniyia addresses topics of diversity, equity and inclusion in tech, launching startups with modest resources, the economic future of creativity, self-awareness and mindfulness, alternatives to venture capital, fashion technology, hardware design, development and manufacturing, and parenting while building a startup. Capitalism is a hell of a drug. When used responsibly, it can create freedom, innovation and efficiency. But unchecked, hoarding, exploitation and careless behavior can run rampant. The tech world has created a great example of this with venture capital and “unicorns”. It’s not greed and growth at all costs… it’s just business. Right? Wrong. We’re entering a new age, one where entrepreneurs want to create solutions to improve the human experience and quality of life without playing a zero sum game. The age of the zebra. 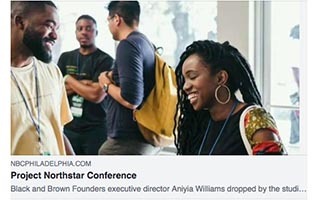 In this talk, Aniyia will explain why purpose and profit do not have to be mutually exclusive, why creating alternatives to the venture capital status quo is a moral and economic imperative, and how innovation in business financing can help us solve the world’s big challenges. If you’re an underdog who wants to take your shot at building a tech business, a different approach is needed. 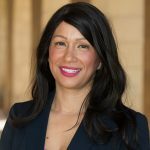 For many people of color, women, LGBTQ, baby boomers, and the “others” – the game is harder to play IF we’re using the same playbook as Musk, Gates, Jobs and Zuck. In this presentation, Aniyia will share her recipe for finding strength, flushing out your idea, launching, and making your first dollars against all odds. Today’s expectations of a happy life are at best, unrealistic, and at worst, oppressive. Are you hurtling toward burnout on a crusade to build the perfect life? Been there. Are you stressed about money, even when you’re making a decent bit of it? Done that. Are you seeing communication with your significant other get rockier by the day? Yeah, sounds about right. Know that you are not alone, and while you probably can’t “have it all”, you’d be surprised to find how much joy can come from letting go of what you don’t need. 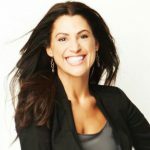 Aniyia will share some hard lessons she’s learned about finding happiness, how to think differently about what we want, and how to get it. Some days it feels like we are doomed. Maybe we are. Either way, we should make the most of our lives while we’re here. The key is to NOT make it about winning or losing, but deftly playing an infinite game. That’s only possible when you are able to lead with the reason why you do what you do. 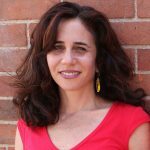 In this talk, Aniyia will share ways to search within to discover your WHY, distinguish what is necessary and real for YOU, and how to use this as a compass to navigate the world…. as long as it keeps turning. Spoiler alert: you already are! You just need some help with bringing the most interesting pieces to the surface. When we want to be seen as interesting or valuable, it actually links to our fundamental human desire to feel connection and belonging. During this presentation, Aniyia will explain why we want people to like us. She’ll then provide a framework to uncover the most unique and fascinating parts of yourself, expand your repertoire, and apply it to your interactions. 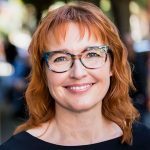 Creative Mornings Oakland: What's Your Superpower? 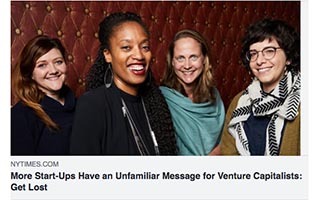 NPR - On Point: How Silicon Valley Has 'Made Work Miserable For the Rest Of Us"
We're 25% of the way into admissions interviews for @BBFounders Bootstrapping Bootcamp, and I want to be LOUD and CLEAR about how brilliant these founders are. I've almost cried like 3 times in the last 24 hours just hearing and thinking about the conversations I've had. Periodically I and can’t help but be amazed that Siri was announced in 2010, and almost a decade later its still effectively valueless in day to day life for anything more than setting an alarm or pausing/playing music. 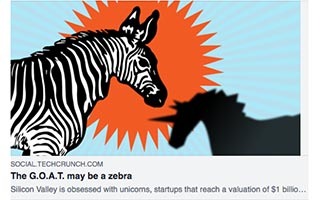 “After the unicorns, a new and more convincing species of startups will have to be engineered” – Those are Zebra startups! Any amount helps. Thank you for your belief & support.